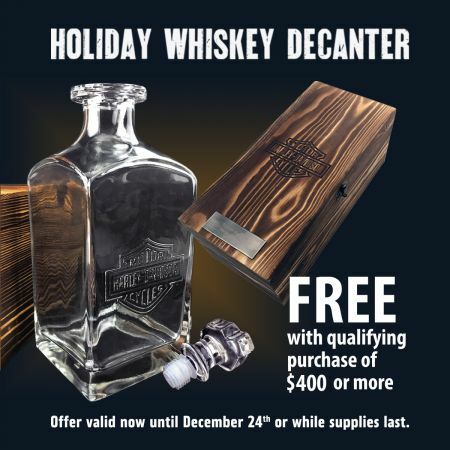 Free Harley-Davidson® Holiday Whiskey Decanter with purchase of $400* or more! Offer valid now until December 24th or while supplies last. Inquire for more details.